YOUR BUSINESS OR YOUR CUSTOMERS… WE WILL DO A STELLAR JOB FOR EITHER! We help businesses and properties in Polk County, FL impress their customers and clients with our commercial lawn care services. If you are the owner of a business, you understand that whether people decide to utilize your company’s services or not often comes down to the overall impression that your building or work space delivered. At Total Pest Solutions, our commercial lawn care services will provide the neat, clean, green and professional-looking commercial landscape that you desire. 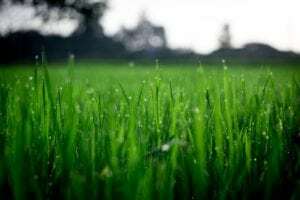 We help businesses and properties in Polk County impress their customers and clients with our commercial lawn care services, keeping them coming back time and again and allowing you time to focus on other things. At Total Pest Solutions, our technicians are highly trained in a variety of different skills, including lawn care, shrub care, weed control, and pest control services. When it comes to commercial lawn care, we have the experience and equipment to take care of any problems you might experience or services that you may require, and we do it in a much more time-efficient and cost-effective way than if you tried to deal with those problems on your own. Hiring our services allows you to focus on the day-to-day internal operations of making your business successful, without having to worry about how it looks on the outside. We are an effective option to take care of commercial lawn care at your business, your apartment complex, or your facility. We are willing to work with owners, property managers or homeowners associations to provide reliable and affordable commercial lawn care. If you are in the Polk County, Florida area, contact us at Total Pest Solutions for all your commercial lawn care needs.